I'm totally copying SM's brother/webmaster Seth's post about her successful year. See http://www.stepheniemeyer.com/for his post. However, I wanted to focus this post on the serendipitous development of the SVC. On April 13, 2008 (I know because I saved the Facebook message between Alison and me), I got to know some of the best lady-husbands and friends I could ask for when the SVC was formed! And what a glorious day it was. several awesome karaoke appearances, including "Hitch Me Baby (One More Time)" and "La...Push It!" many, many new friends here at SVC! What are your favorite memories of the year? Please share! I know I'm missing a bunch of things. I am looking forward to reminiscing on New Year's Eve with the other coven leaders at my lair. I am so thankful for you ladies! Happy New Year! Bitten by Erin at 6:07 PM 16 enjoyed the bouquet. Bitten by alison at 11:27 AM 7 enjoyed the bouquet. We at the SVC wish a very merry to you and yours. Bitten by Ryah at 8:49 AM 23 enjoyed the bouquet. Yet another Twilight video, with puppets. I enjoy the fact that Edward is wearing a Team Edward shirt. Bitten by Ryah at 7:53 AM 14 enjoyed the bouquet. I actually really like it. (ducks head) I like seeing that gorgeous face... What do you think? Bitten by Erin at 6:32 PM 9 enjoyed the bouquet. How are they going to fill the time? There is so much of a time disconnect in the book that comes with Bella's devastation. Do you think they'll show Edward moping and dealing with his own pain? Will Rob play a big part in the movie? Will they focus more on the wolves, leaving less to be explained in Eclipse (where I think the pack really evolves)? Seeing as though they stepped up the hot factor a bit between Edward and Bella in Twilight (kissing-wise, at least), will they do the same for Bella and Jacob? What changes to the storyline will they implement to New Moon's movie script (if any)? Bitten by Erin at 2:32 PM 9 enjoyed the bouquet. 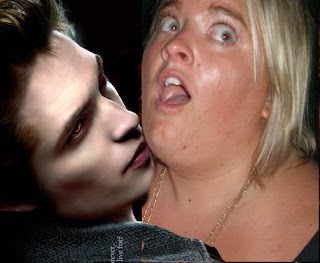 There seems to be a lot of talk and UNCERTAINTY surrounding the new Twilight sequel, New Moon. So much so that new director Chris Weitz and even author Stephenie Meyer had to release statements explaining the situation. But what about the reports that the studio, Summit, doesn't want to re-hire "baby-faced" Taylor Lautner as Jacob. 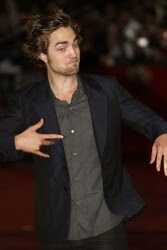 Apparently, they don't think he has what it takes to play the werewolf love interest/lead in New Moon. The statements released didn't confirm his return. That was NOT an oversight! Bitten by Ryah at 8:01 PM 20 enjoyed the bouquet. If you go to Steph's web site there is a new post for today talking about New Moon's Director Chris Weitz- and there is a message from the director himself. He was the director for one of my absolutely favorite movies, About A Boy! This makes me very hopeful and excited to see where he will take this film- can you believe that we have less than a year till the next movie? Bitten by Jes at 2:33 PM 4 enjoyed the bouquet. Bitten by Jes at 2:27 PM 0 enjoyed the bouquet. Bitten by Erin at 10:53 PM 3 enjoyed the bouquet. Check out EW's site for some news and a potential release date. What do you think, should they recast Jacob? Bitten by Ryah at 2:34 PM 18 enjoyed the bouquet. 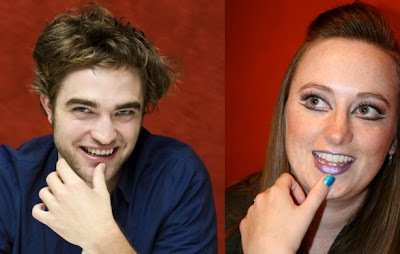 “Catherine did an incredible job in helping us to launch the TWILIGHT franchise and we thank her for all of her efforts and we very much hope to work with her on future Summit projects,” said Erik Feig. Bitten by Jes at 9:24 PM 18 enjoyed the bouquet. One of my eighth graders was really excited to show me this link today. I don't know that I'll order any of them, but it sounds fun! Smells fun? They also carry a Bella scent (freesia and lavender), Alice (citrus and floral), and Jacob (woods and earth). AND they have Forks (forest and mist) and LaPush (ocean and cliffs...hmmm...cliffs smell like?) room sprays. Bitten by Erin at 7:42 PM 14 enjoyed the bouquet. Bitten by Ryah at 12:17 PM 3 enjoyed the bouquet. In case you aren't aware of Cassandra Clare, she is the author of City of Bones/City of Ashes. So today I was googling some of Simon's t-shirt slogans, and I found this, which is a thread on Twilight Moms where members are asking Cassandra Clare questions about her books. I've already found out lots of good bits that I didn't know (like Sebastian is mentioned in COA), and reminded of bits I did know but forget (like Jace and Clary having matching scars). So anyway, check it out if you are interested. Its kind of hard to read because there are so many posts, but after a while you get the hang of figuring out which posts are answers to questions. Bitten by alison at 9:58 AM 13 enjoyed the bouquet. Check out this post on PerezHilton.com regarding Kristin being chosen to play Joan Jett in an upcoming movie. Do you think she can pull it off??? Bitten by alison at 1:30 PM 10 enjoyed the bouquet. Bitten by alison at 8:43 AM 34 enjoyed the bouquet. ...what our lovely Grimm and Z-Z thought of the movie. You are the key demographic. So, what did you think? Did your parents approve? Bitten by Corinne at 9:43 PM 37 enjoyed the bouquet. 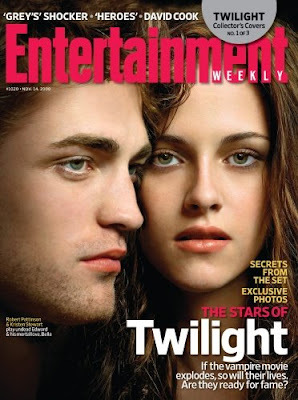 Los Angeles, CA November 22, 2008 — Summit Entertainment announced today that the studio is officially moving forward with the production of NEW MOON, the second installment of its filmed franchise TWILIGHT, the action-packed, modern day vampire love story. 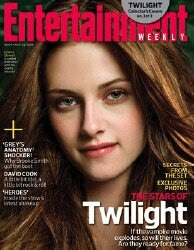 The movie will be based on the second novel in author Stephenie Meyer's Twilight series titled, New Moon. The first movie in the TWILIGHT franchise, the self-titled TWILIGHT, arrived in theaters this weekend to sold-out showings. Stephenie Meyer stated, "I don't think any other author has had a more positive experience with the makers of her movie adaptation than I have had with Summit Entertainment. 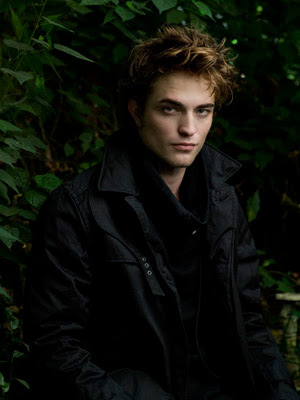 I'm thrilled to have the chance to work with them again on NEW MOON." Starring Robert Pattinson and Kristen Stewart, TWILIGHT tells the story of 17-year-old Bella Swan who moves to the small town of Forks, Washington to live with her father, and becomes drawn to Edward Cullen, a pale, mysterious classmate who seems determined to push her away. But neither can deny the attraction that pulls them together...even when Edward confides that he and his family are vampires. Their unorthodox romance puts her in physical danger when Edward's nemesis comes to town and sets his sights on Bella. Bitten by alison at 10:38 AM 15 enjoyed the bouquet. Wondering about the Volvo? Well one lucky fan won it, courtesy of Tyra! Bitten by Jes at 1:08 PM 1 enjoyed the bouquet. I was VERY surprised at how much I liked the cast. It was weird seeing the characters in the flesh … and I honestly felt that every character was properly realized. Kristen Stewart makes a perfect Bella Swan, I think. For me, she nailed this part. 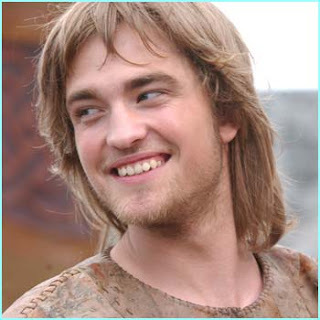 Robert Pattinson was a very good Edward, I think. Some folks thought he was cheesy but most of the way that Edward acts in the book is cheesy (and, it must be said, that R. Pattz’s hair has never looked better, like, ever … I will say, tho, that Edward in the film looked like Brandon Walsh from Beverly Hills, 90210 circa 1993 while his voice sounded like Luke Perry, same time period.). In fact, I found most of the books very cheesy in that teen romance sort of way … the movie did a very good job of honoring that tween cheesiness. Those of you who find fault in corny aspects of the movie have to look to the book to place blame. I was worried that the dazzling scene would be really bad but they ended up handling it very well. Sure, Edward looked like a go-go boy dancer waring too much body glitter at Studio 54 but it was apropos for the scene, I think. While I can’t speak for anyone else, my gut tells me that the folks who do not like the film merely love the book so much that nothing could measure up. As, I think, an objective reader/watcher who isn’t overly swayed by emotion, I found that the movie did a great job of bringing the book to life. My only complaint with the film lies with the music … the music used thruout the movie was horrible! So bad. 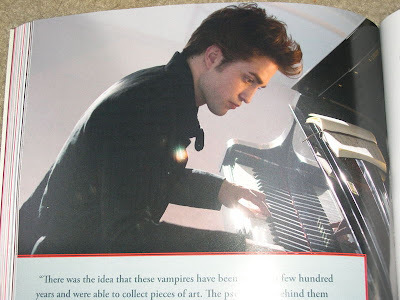 The only bit of music I liked was Edward’s piano playing … the garish guitar motif that kept popping up thruout the film was annoying. Jes: I love the 90210 comparison! I think that overall, looking at blogs and such, that we've all found faults with the film - but most also found the good in it too - being that it is the book and really that is where the cheese factors come in. Yay - I agree with Perez, definitely more sequels are to come - the intended age market for the film is loving it and will go back for more and more it seems. Bitten by Jes at 1:03 PM 2 enjoyed the bouquet. Perez, we feel your pain! We didn't LOVE it, but it was more than "so so" and just a "like." The chick that plays Bella was super annoying but Robert Pattinson definitely lives up to the hype. He carries the film - in more ways than one. We wish the movie was a bit longer, though. But they probably left us wanting more on purpose. This is Alison: Kristin really was awful/annoying. I don't know that I would say Rob carried the film, but then again, if not him, who? He was by far better than Kristin, and I know he could do better if give a chance/better director. Cheers. Bitten by alison at 10:58 AM 2 enjoyed the bouquet. Bitten by Jes at 9:19 PM 4 enjoyed the bouquet. So did you see the movie? Share your review! The SVC coven members are definately all over the fence on this one! Bitten by Jes at 3:15 AM 36 enjoyed the bouquet. Two MN TwilightMoms Went to the Twilight After Party! Corrie (ENCARNACION)and Amy (Forcelle) have some crazy awesome pictures. Check it out here. Bitten by Kari at 8:36 AM 7 enjoyed the bouquet. 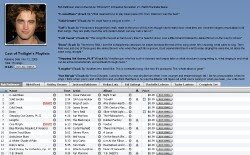 Lisa, the woman who created TwilightMoms, has a review up on her site as well as pictures / first-hand accounts of the premiere! I had fun reading her blog. Click here to check it. Bitten by Kari at 8:32 AM 1 enjoyed the bouquet. Movie reviews are rolling in- google them if you dare! HERE is a great review by a Twilighter from Novel Novice. Rob was on ELLEN it airs this friday- but ET has a clip HERE He is really adorable in the interview. Bitten by Jes at 9:43 PM 1 enjoyed the bouquet. You can thank Nate for this. What will be the next abstinence vampire? Bitten by alison at 3:57 PM 5 enjoyed the bouquet. What are your plans for seeing the movie the first time? Are you going to a midnight showing? With a group? Share with us your plans! What are you going to weaR- twilight related clothing? Most of the coven leaders are going out for dinner to celebrate Ryah's bday and then off to take in the midnight show! So excited! Bitten by Jes at 1:39 PM 7 enjoyed the bouquet. Bitten by Jes at 1:23 PM 1 enjoyed the bouquet. "My attitude from the beginning has been, 'If you start failing, do not start going on reality TV shows.'" 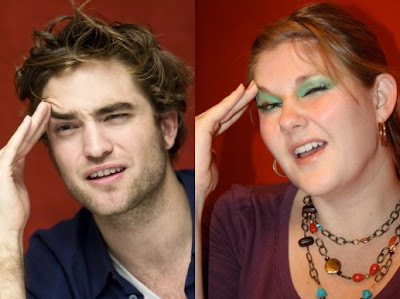 Now I have to say, I WOULD watch a Rob reality series- just to see how people react to his wackiness in everyday dealings. Bitten by Jes at 5:56 PM 7 enjoyed the bouquet. Bitten by Kari at 12:14 AM 12 enjoyed the bouquet. Click here to see extras from the InStyle mag photo shoot of the cast. Bitten by Ryah at 8:32 AM 0 enjoyed the bouquet. MTV: And did any of the stars have differing ideas from yours? Meyer: A little bit. With Rob [Pattinson], we sat down to talk about Edward's character before we started filming. It wasn't an argument, but we actually disagreed on his character. I'd be like, "This is how it is," and he'd be like, "No, it's this way." And the funny thing about it was, here we are, arguing about a fictional character. Yet, in the performance, he did what he wanted, and it turned out how I wanted it. Bitten by Jes at 2:22 PM 0 enjoyed the bouquet. Kari- maybe you can dvr it, so we can watch it together tmrw night??? Bitten by Jes at 2:16 PM 0 enjoyed the bouquet. Not that any of us doubted, but there is confirmation from Summit that they bought the rights to the next three novels to make future movies. Check out this article about it here. I don't know about you, but I am not looking forward to a BD movie. Gross. Bitten by Corinne at 12:18 PM 4 enjoyed the bouquet. Kind of last minute, but just a heads up. I'm going to be on Ryan Seacrest's radio show tomorrow morning around 7ish Pacific time. This is to the best of my knowledge in this moment; something important might come up in entertainment news and then I'll be cancelled like Matt Damon on Jimmy Kimmel, so no guarantees. I promise to do my part, i.e. set my alarm clock." That's pretty big publicity...Seacrest OUT! Bitten by Erin at 7:29 PM 1 enjoyed the bouquet. Ohhhh Jeeeessssssssssss... lookie at what I found today! You can go bid for it here. Bitten by Kari at 2:23 PM 7 enjoyed the bouquet. MSN has put together some screenshots from the movie and added their own dialog. Some of them are pretty funny. Bitten by Kari at 2:12 PM 4 enjoyed the bouquet. Are you curious about what our fave actors are listening to? Go check out all the Twilight cast's playlists at iTunes! Bitten by Jes at 9:47 AM 4 enjoyed the bouquet. Bitten by Kari at 8:29 AM 2 enjoyed the bouquet. Pink is the New Blog has info on the first mall signing with Jacob, Victoria, and Laurent HERE. Bitten by Jes at 7:50 PM 0 enjoyed the bouquet. This made me LOL crap out my nose. "Now, let’s be honest, if Robert Pattinson were 10 feet away from me, and there were, say, three, four, or even twenty teenage girls between him and me, I cannot guarantee that I would not resort to violence in order to close the gap. He’s the pied piper, playing his vampirey tune, luring all our girls and women to his lair in a Hot Topic - so that we might touch his flesh and smell his lingering DNA on the Hello Kitty diary he signed." Bitten by Kari at 4:46 PM 4 enjoyed the bouquet. Bitten by Kari at 4:40 PM 9 enjoyed the bouquet. Ha! I look at these and think... was he at one of our SVC photoshoots? Bitten by Jes at 2:14 PM 4 enjoyed the bouquet. Bitten by Jes at 10:56 PM 3 enjoyed the bouquet. anyone catch the extended trailer during Heroes? Pattz actually spoke to the camera to set it up. blah. Bitten by alison at 8:07 PM 5 enjoyed the bouquet. This will only be funny if you watch the show. Or know who these people are...but here goes. 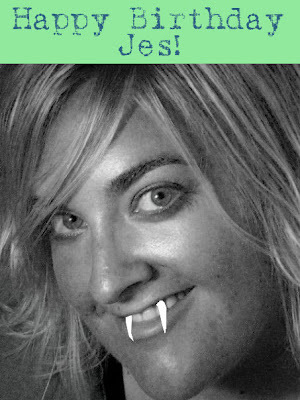 Who knew Sal was a vampire? Bitten by Erin at 6:52 PM 3 enjoyed the bouquet. Rob talking about a girl he took a photo with at an event; she was 7 years old! “But then she went really quiet and she was like, 'Can you bite me?' - “It wasn’t a joke...I looked at her and thought, 'Do you know what you’re saying?' There are these kinds of sexual thoughts that come out of people that they don’t even know are sexual"
Bitten by Jes at 2:38 PM 13 enjoyed the bouquet. I was wondering how this would go! How did they not realize it would be mass pandemonium? Bitten by Jes at 2:30 PM 2 enjoyed the bouquet. My personal favorite is City of Bones at #6. I've read #'s 1,2,4,6,7,8. Which ones have you read? What is your favorite? Any recommendations? Bitten by alison at 9:01 AM 13 enjoyed the bouquet. Bitten by Jes at 10:27 PM 0 enjoyed the bouquet. You can view major behind the scenes footage HERE. Look at your own risk- major spoilage. Bitten by Jes at 10:20 PM 15 enjoyed the bouquet. Bitten by Jes at 3:45 PM 10 enjoyed the bouquet. "If you are in love with someone, you can’t see any flaw in the other person. So I finally figured out that I didn’t have to play the most beautiful man on the planet, but just play a man in love." From the Vanity Fair Interview. Bitten by Jes at 10:15 AM 6 enjoyed the bouquet. The cast interview by Vanity Fair mag, HERE. Bitten by Jes at 11:27 PM 6 enjoyed the bouquet. Perez Hilton says this: Two weeks before the film even hits theaters, Twilight shows have already sold out. According to Fandango, Twilight is accounting for two-thirds of all ticket sales and more than 100 premiere screenings have already sold out. This bodes well for the teen vampire love story and its burgeoning franchise. Bitten by Jes at 11:18 PM 1 enjoyed the bouquet. Bitten by Jes at 11:06 PM 6 enjoyed the bouquet. 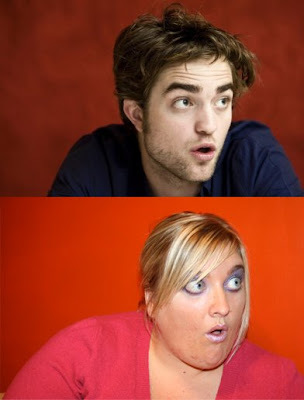 It's become CRAZY trying to figure out what to post of all the Twilight hoopla and what not to!!!! 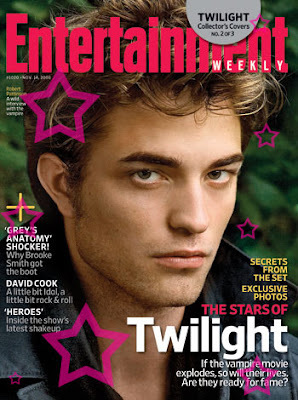 For sure go to the Entertainment Weekly site and checkout all the info about the current Twilight issue- and then go buy all three covers!! Bitten by Jes at 10:59 PM 2 enjoyed the bouquet. 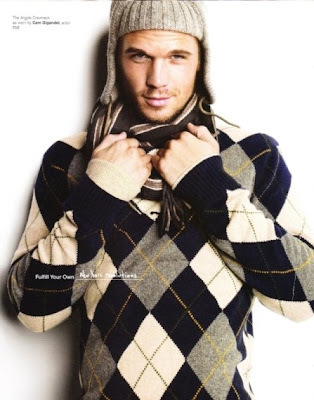 Here's Kellan on NY and Vegas. Bitten by Corinne at 10:50 PM 3 enjoyed the bouquet. Bitten by Jes at 10:44 PM 0 enjoyed the bouquet. Bitten by Jes at 9:26 PM 2 enjoyed the bouquet. UPDATE: mag hits newstand tmrw!!!!! there will be three different covers! Bitten by Jes at 9:21 PM 4 enjoyed the bouquet. Does Rob like Tequila as much as me? Bitten by Corinne at 8:55 AM 4 enjoyed the bouquet. Rob pressed his palms into plaster to be remembered forever at Planet Hollywood. Bitten by Jes at 11:02 AM 5 enjoyed the bouquet. Q: What is your favorite dinosaur? A: What’s my favorite dinosaur? Let me think…probably a diplodocus. I can really relate to a diplodocus. Taken from recent interview seen below. Bitten by Jes at 1:06 PM 4 enjoyed the bouquet. 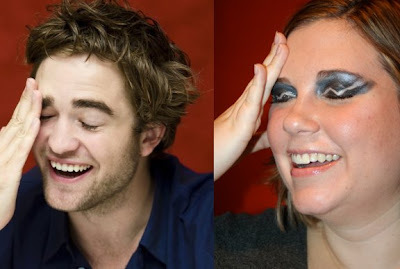 Robert Pattinson and Catherine Hardwicke promoting Twilight at the Soho Apple Store. Just Jared has like 30 pictures. Yummers. Bitten by Kari at 12:41 PM 3 enjoyed the bouquet. Paramore - Decode video -- Inlcuding scenes from Twilight! Bitten by Kari at 12:02 PM 9 enjoyed the bouquet. I love his little hat! Bitten by Kari at 11:58 AM 1 enjoyed the bouquet. 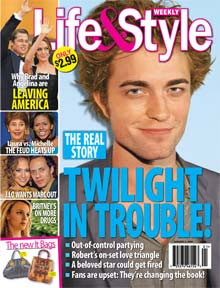 ROb did this interview last week with all the major Twilight sites. Bitten by Jes at 9:08 PM 2 enjoyed the bouquet. There is a great behind the scenes video from Ashley Greene Daily. It was shown at the Rome film fest. Check it out HERE. 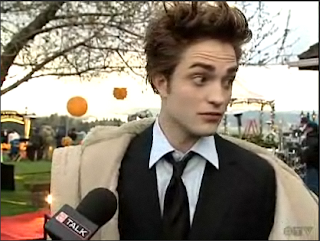 Around 2:20 is a great Rob moment: "because she loves me!" ...love him. AlSO: Rob will be on TRL Nov 6th. Bitten by Jes at 6:16 PM 8 enjoyed the bouquet. Bitten by Jes at 6:33 PM 5 enjoyed the bouquet. Q. What was the filming process like? Were there any "embarrassing" mistakes that you or the other actors made? The first day of rehearsal, we did the baseball confrontation scene. And we were just getting a feel for each other as a group of actors, and improvising lines to loosen up, and when Carlisle asked me if I was good at baseball, I said "does a baby eat candy". Which made NO sense. I tried to cover and say "no, no, what I really said was does a baby taste like candy" but the damage was done and everyone was in stitches laughing. I think the line, "does a baby TASTE like candy?" is a really creepy line. Sometimes accidents breed great moments. taken from THIS interview with Edi Gathegi from INSPIRE magazine. Bitten by Jes at 6:25 PM 2 enjoyed the bouquet. Bitten by Jes at 6:19 PM 1 enjoyed the bouquet. Check them out, just do! But, I've just come across the Twilight Music Girls. Listen to them. I think they are really good, and polished sounding! Bitten by Jes at 11:04 PM 1 enjoyed the bouquet. So we give alot of shout-outs to Perez, but I'd like to give one to Pink is the New Blog this weekend. HERE is the blog's most recent Twilight blog-spot. Now, this makes it seem as if the movie actually premiered in Rome in its full glory - but I am pretty sure that only 8-15min of it were actually screened - am I wrong? Bitten by Jes at 3:27 PM 4 enjoyed the bouquet. Check out this video from EW about the scoring of the film. Bitten by Jes at 2:20 PM 0 enjoyed the bouquet. "I got injured on the first shot of the first day," he said. "I wasn't even doing a stunt. I was just trying to pick up Kristen and I almost tore my hamstring because I hadn't been doing enough squats. It was very embarrassing." Bitten by Jes at 2:16 PM 11 enjoyed the bouquet. Hot Topic stores around the US are hosting Twilight actor signings! Laurent, Victoria and Jacob are coming to MPLS! The date: Nov 14th- LET'S GO! Bitten by Jes at 2:11 PM 2 enjoyed the bouquet. For some reason, the screenshot didn't get the movie countdown and video link (the trailer) that was posted in the middle of the top banner. I thought the pic of Laurent was cool - hadn't seen that one yet (I think?). I'm guessing these are the images for the trading cards, too? Bitten by Erin at 8:33 PM 3 enjoyed the bouquet. Just so you know, if you do want to see some more Twilight before its in theaters - some of the movie has been leaked on YouTube. I typed in 8 min twilight movie, and was able to find it. It's been leaked from the Rome Film Festival that a bunch of the cast attended. The scene is Bella meeting the Cullens - it's hard to hear and kinda distracting to hear the audiences reactions through out it. May not be worth it, but wanted to let you know it's out there. Bitten by Jes at 3:24 PM 4 enjoyed the bouquet. 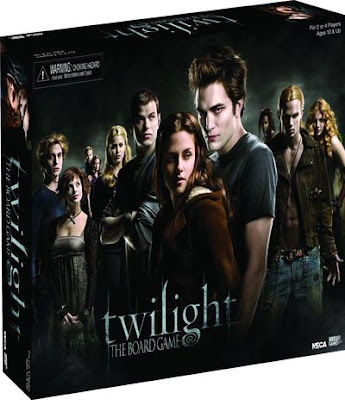 A new board game based on the highly anticipated Twilight motion picture! Reenact the hunt for Bella through the woods of Olympic Peaks with your friends, with one team portraying Bella and Edward while the other representing the hunting nomads James and Victoria. Each team uses hidden movement system - who will survive to the morning? Yup, a Twilight board game! Wanna play? Bitten by Jes at 3:05 PM 9 enjoyed the bouquet. so once again I found myself browsing... This time for a good head shot of Robb so I could make something hilarious... But instead I found this. Proof that he hasn't always been gorgeous. Wish I could say that I would love him through thick and thin, but lets face it--I wouldn't. Bitten by alison at 10:23 AM 14 enjoyed the bouquet. Bitten by Jes at 10:47 PM 20 enjoyed the bouquet. Bitten by Ryah at 3:17 PM 8 enjoyed the bouquet. 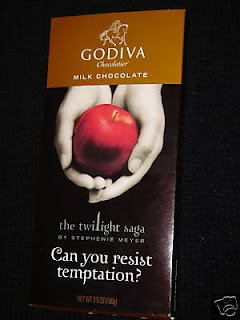 Question: what would you name a Twilight inspired flavor? and what would the flavor/s be? Bitten by Jes at 1:36 AM 18 enjoyed the bouquet. This one has some more new shots and lines! I've been seeing these all over the TV! Bitten by Jes at 10:29 PM 11 enjoyed the bouquet. EW gave the Twilight Soundtrack an A-! Bitten by Jes at 10:25 PM 4 enjoyed the bouquet. while i was watching the daily show (just had to say that for the street cred). oh gotta stop baracks on. Bitten by alison at 10:18 PM 2 enjoyed the bouquet. so last night I was googling 'rob pattinson in his underwear' mostly for spite, but also for the mmmm factor, (wish i was oogling, not googling...) and I came across lots of fun pics, but this one made me smile. its not really a hot-shot, but... well, it just made me smile. looks like its at the prom. hope you like it too. Bitten by alison at 7:08 PM 19 enjoyed the bouquet. 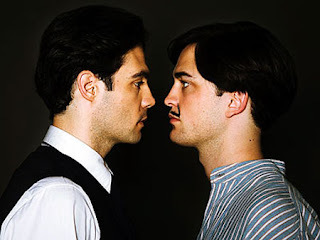 Pattinson plays Dali in Little Ashes. Update: EW has some more pics from the movie. Bitten by Kari at 4:40 PM 1 enjoyed the bouquet. Bitten by Jes at 2:04 PM 5 enjoyed the bouquet. Bitten by Kari at 9:40 AM 5 enjoyed the bouquet. Rob on the Red Carpet this week- he got an award too! Bitten by Jes at 11:43 PM 9 enjoyed the bouquet. MTV News will be holding a very special “Twilight” event in Los Angeles on November 7th, as we tape a television special celebrating the much-anticipated movie. “Twilight” stars Robert Pattinson, Kristen Stewart and director Catherine Hardwicke will be in attendance to address the crowd, and they’ll premiere never-before-seen footage from the movie some two weeks before it hits theaters. Hardwicke will also take questions from attendees during a Q & A session. Bitten by Jes at 11:32 PM 0 enjoyed the bouquet. Bitten by Jes at 11:29 PM 1 enjoyed the bouquet. Bitten by Jes at 11:27 PM 1 enjoyed the bouquet. thank you for all the bday wishes and pictorials! LOVE THEM! Im a lucky girls to have you all as friends and bloggers! BTW- I watched GREEKS season finale tonight and it was a Twlilight extravaganza during all the commercial breaks! It was the best! They showed all the TV spots and the vid that was on Perez today- plus Rob and whats her name that plays Bella (honestly i am blanking on her name right now!) did some intros for all the spots. Bitten by Jes at 11:03 PM 6 enjoyed the bouquet. Bitten by alison at 10:18 PM 6 enjoyed the bouquet. Check it out on our beloved Perezito's site. He's got Twilight fever, too! Bitten by alison at 10:19 AM 22 enjoyed the bouquet. Sorry Kari. I guess great minds think alike! Bitten by alison at 9:48 AM 10 enjoyed the bouquet. 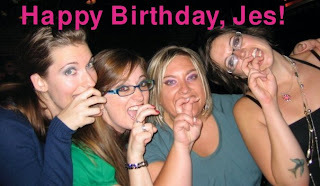 Our very own Jes is celebrating her birthday today. Wish her the best! Bitten by Kari at 9:40 AM 10 enjoyed the bouquet. Bitten by Jes at 10:12 PM 2 enjoyed the bouquet. Bitten by alison at 6:31 PM 3 enjoyed the bouquet. 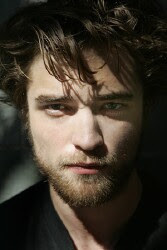 of Rob- what do you think? Bitten by Jes at 2:03 PM 7 enjoyed the bouquet. I love the official movie guy voice! Bitten by Jes at 11:53 AM 41 enjoyed the bouquet. Although we split on our views on this show, the coven leaders have been watching True Blood on HBO this season. Here's an interview with Sam Trammell who plays Sam on the show. Have any of you out there been watching? Or read the book? What do you think? Bitten by Jes at 10:41 PM 13 enjoyed the bouquet. If you check out iTunes for the soundtrack, you can preorder and receive three bonus songs. One of them is a Rob song- that means two of his songs on the soundtrack! Bitten by Jes at 10:12 PM 0 enjoyed the bouquet. Bitten by Jes at 10:03 PM 1 enjoyed the bouquet. If you go over to SM's site you can listen to "Go all the way (into the Twilight)"
Bitten by Jes at 9:55 PM 7 enjoyed the bouquet. Bitten by Jes at 9:50 PM 8 enjoyed the bouquet. Bitten by alison at 5:01 PM 12 enjoyed the bouquet. They love him in Mexico! 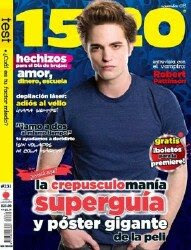 Here's Rob on the cover on a Mexican Mag. Bitten by Jes at 12:29 PM 1 enjoyed the bouquet. See Here to see what Perez thinks! Also, E! has this on their site as well! Bitten by alison at 11:43 AM 4 enjoyed the bouquet. Bitten by Jes at 10:08 PM 10 enjoyed the bouquet. 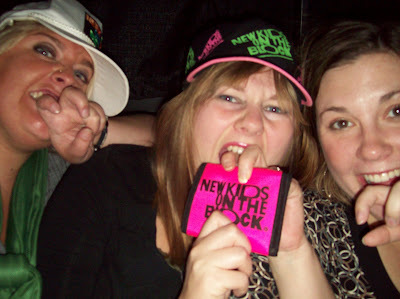 Last night Kari, Erin and I went and saw New Kids On the Block in concert! It was totally rad! We took the SVC classic fang pic- it is a must now, whenever we are together! We decided that if Rob for whatever reason needs to pull-out (God forbid) of the next movie, we wouldn't mind Joey stepping in to the role of Edward. PLUS, we added I'll Be Loving You Forever to the playlist. Bitten by Jes at 9:17 PM 9 enjoyed the bouquet. Bitten by Jes at 3:42 PM 9 enjoyed the bouquet. This footage was shown last night on ScreamTV at some awards show or something. We've seen some of it befor, but there are a few new shots added in. Bitten by Jes at 11:23 AM 3 enjoyed the bouquet. So when I found out I didn't get the role, I was bummed. Then I was in this bookstore and I saw this book of, like, 50 years of vampires in Hollywood — again, those old school shots of Bela Lugosi and the original Dracula and just the history and the lore. So I bought this book, and I sent it with a note to Catherine saying, "Look, I'm sorry it didn't work out. I really admire your work. 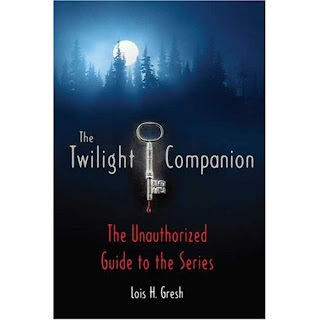 I hope this book inspires you through the making of Twilight." And so when she got the call that this other actor wasn't working out, she looked down and saw that book and said, "Well, what about Peter Facinelli?" 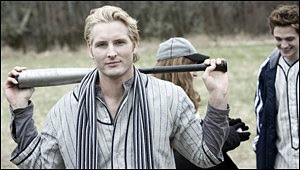 So I always joke that I bought the role of Dr. Carlisle Cullen for $29.99. And I was worth every penny. Bitten by Jes at 12:35 AM 4 enjoyed the bouquet.